T.I. took direct aim at Azealia Banks for trashing his wife, warning that she may have a serious neck problem is she continues to insult Tiny. 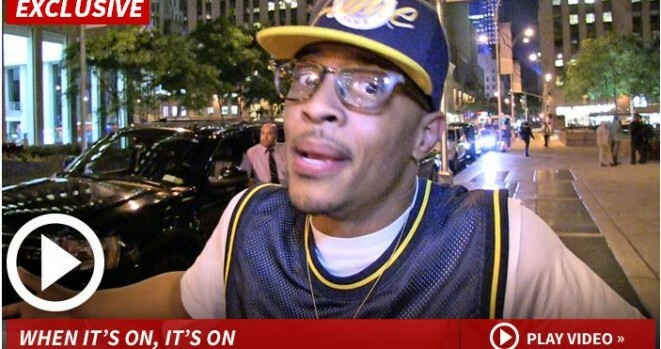 Banks ignited the war by taking a shot at T.I.’s wife Tiny this week when she tweeted, “U want no mediocre but … Have you seen your wife?” … which is a play on T.I.’s new song, “No Mediocre.” T.I. responded with force on Twitter … and then made it clear to our photog last night … he’s fair game but he will go after ANYONE who takes cheap shots at his family. He sounds serious.